Richelle was sitting her GCSEs when she found out she was pregnant. 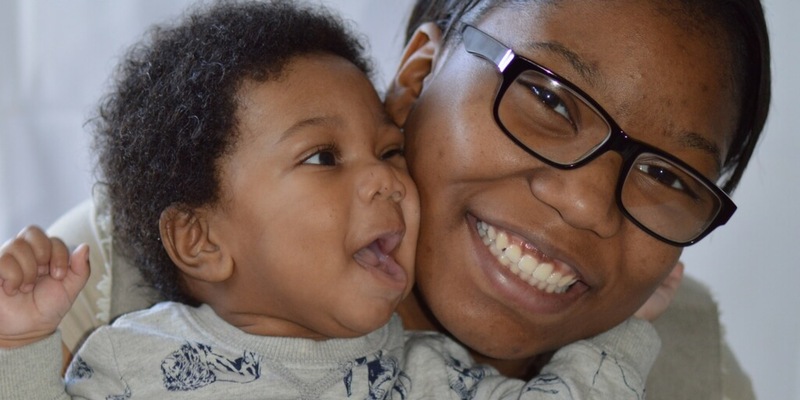 We asked her to give her top tips to other young mums-to-be who are having to juggle pregnancy with studying for exams. One thing I did while pregnant with my son was focus on passing my exams. I didn’t want people to think that because I was pregnant that I was going to give up on all my goals and ambitions. Your body is undergoing changes and the stress of preparing for exams could make you feel unwell. If you feel like you’re pushing yourself too hard, take a little time out. Chat with a friend or family and take your mind off studying for a short time before heading back into it. It might be difficult at first, but you need to schedule in time to study and keep up-to-date with your check-ups at the GP. Now this is one thing that I seriously agree with. I did this until my exams were over, not because I was ashamed of being pregnant but because there are some things that need to be kept private for you to accomplish what you need to. The last thing I needed was people gossiping about me or staring at me when I’m trying to concentrate on passing! Exam centres can accommodate pregnant students by giving them supervised rest breaks. Some pregnant students who are bedridden can apply to take their exams in an alternative location. Check with your school or college and find out what support they provide for pregnant students. Us young mothers constantly get stereotyped. While we can’t change that, we can definitely prove to those who judge us that we are fully capable of studying and having a child. So don’t think that just because you’re pregnant you should give up! If you want to be a lawyer be a lawyer, if you want to study engineering study engineering and if you want to go back to work or Uni – do it! I’m not going to paint a pretty picture and make you oblivious to things – it does take a while to get back into the groove of things when you return to education after having a baby. But trust me, it’ll all be worth it and you’ll be showing your child that nothing should ever make you put your dreams on hold. Share advice, make friends and tell your story with other young parents on our Community: join here to start chatting!